A house in Sister Kenny St, Nobby, has been destroyed by a fire. A HOME in Sister Kenny St, Nobby has been destroyed in a blaze. 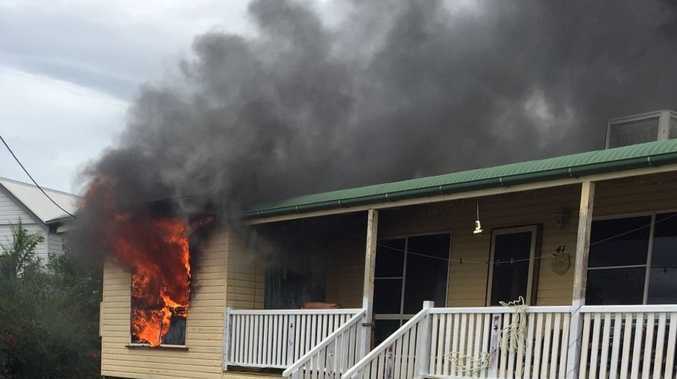 Nobby Rural Fire Brigade and Queensland Fire and Emergency Service crews from Toowoomba, Warwick and Allora all turned out to the fire but were unable to put out the blaze before it destroyed a large portion of the home. 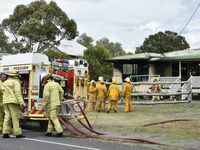 Toowoomba resident Tim Sullivan was first to notice the fire as he drove past the home and attempted to put it out using a hose from the backyard after calling emergency services. 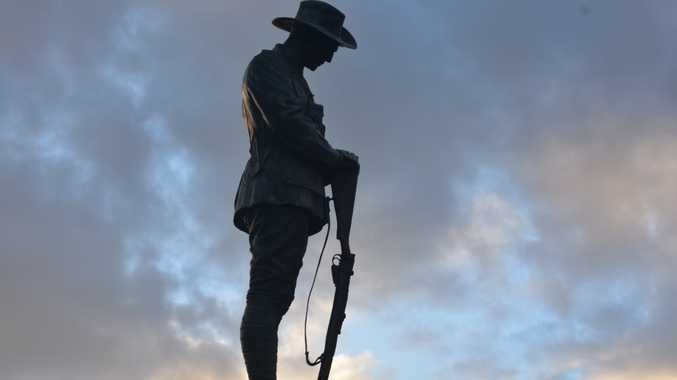 It was soon apparent the hose would make little difference, so he turned off the house gas bottles, grabbed the family dog and got out of the way. There was nobody home at the time. Inspector Denis Stunden of the Queensland Fire and Emergency service said the fire took hold quickly in the windy weather conditions and was tough to put out. Nobby house fire: Nobby Rural Fire Brigade and QFES crews from Toowoomba, Warwick and Allora turned out to a house fire in Nobby. "This afternoon local crews responded to a structure fire here at Nobby," he said. "First on the scene were the rural crews who went into action and very shortly thereafter they were supported by the urban counterparts. "They have gone in and extinguished the fire. "The fire was well involved on arrival and took quite a bit of effort to extinguish." He said the cause of the blaze was still being investigated, but there were no suspicious circumstances at this stage in the investigation. He said it could have gone either way if the residents had been at home when the fire started. "There's fors and againsts for both arguments," he said. "If they were home maybe they could have taken some action but it was a serious fire so I think they were lucky they weren't here."